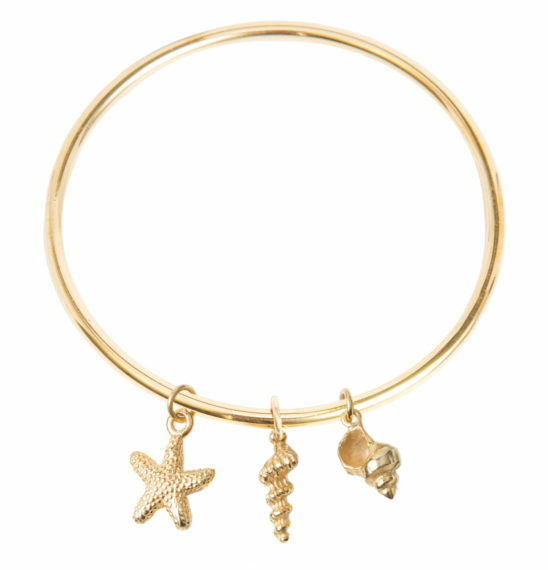 Sea are ubiquitous, one of Mother Nature’s most abundant but endearing creations. They have been used by humans for many different purposes throughout history – as tools, currency, fertiliser, musical instruments and more – and over the decades artists, architects, jewellers and fashion designers have been endlessly inspired by their beauty. In October 2011 Karl Lagerfeld created an aquatic underworld catwalk for Chanel, complete with coral reefs and a giant stingray, sending out a spring-summer look in weightless whites, pastel and silver, under the vaults of Paris’ Grand Palais. 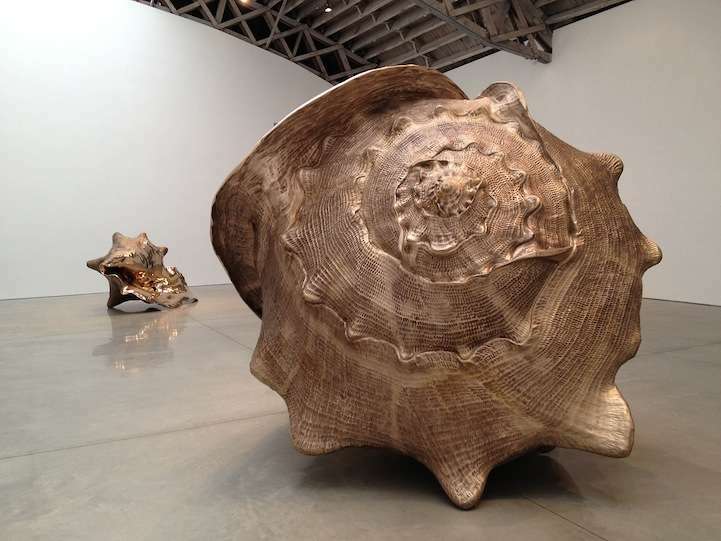 Imitating nature closely, sculptor Marc Quinn created ‘The Archeology of Art’, a series of giant, bronze shell sculptures. The 3 metre high, scaled models were created from the digital scanning of actual shells, which were then converted into 3D maps, allowing the shell model to then be cast in bronze. 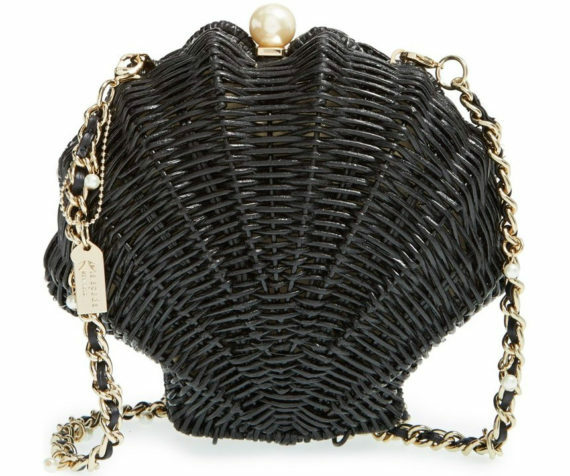 Kate Spade’s much coveted ‘Splash Out’ wicker, clam-shell bag with pearl closure. Alexander McQueen’s ‘Shell’ dress – 2001. 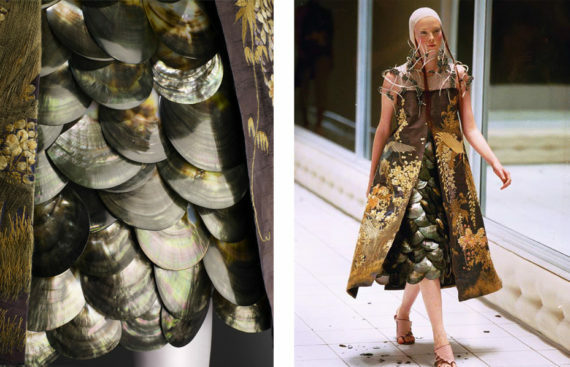 The over dress of Japanese silk panels, is under dressed with a stunning skirt crafted from authentic oyster shells. 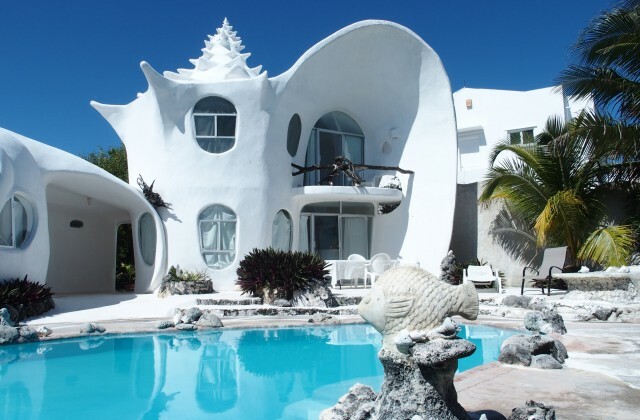 Located in Isla Mujeres, Mexico, architect Octavio Ocampo’s famous Conch Shell House is available to rent via Airbnb. 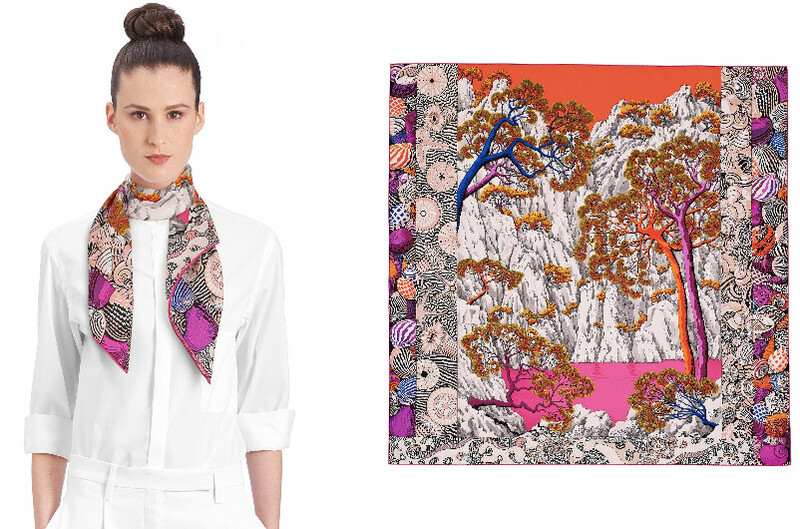 Hermes seashell sprinkled silk scarf, created by artist Aline Honoré.